Cambodia’s strong textiles, agriculture, construction and tourism sectors have led to foreign investments and international trade, resulting in constant economical growth over the last 10 years. Cambodia’s new foreign ownership law for properties has created a surge in the country’s real estate industry. Obtaining a second passport can be advantageous for many reasons. Some perks include ease of travel and the ability to conduct and set up businesses with the support of the government. Citizenship by investment is becoming increasingly common these days. The launch and promotion of Cambodian residential projects overseas attracted interest from foreign investors due to the freehold titles and significant potential capital growth. 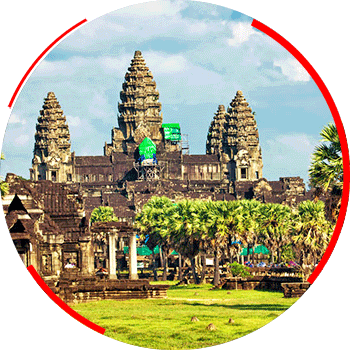 In addition, the country’s large markets, low wages, liberal economy and high influx of tourism make Cambodia a prime country for investment.